A little more than two years after Japanese mobile gaming giant DeNA agreed to pay up to $403 million for U.S.-based mobile game developer Ngmoco, the subsidiary’s CEO Neil Young has stepped down. Neil Young, the former EA executive who went on to found the company, is no longer CEO of Ngmoco. However, he will continue to serve on the company’s board of directors. 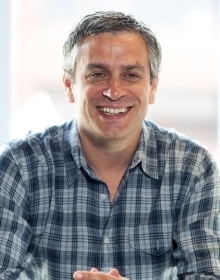 Clive Downie is taking over the role as CEO of DeNA’s efforts to penetrate Western markets. There was an internal all-hands meeting today to announce the changes, sources tell us. Both Young and co-founder Bob Stevenson are moving on to their “next adventure,” DeNA said in a statement. Downie previously was a vice president of marketing at Electronic Arts, where he spent more than 15 years. He also held management positions at Mattel, Inc., running global consumer product brands. One of the top mobile gaming companies in Japan, DeNA is trying to diversify its business by bringing its business model to U.S. and European markets. With a market capitalization of $4.56 billion, DeNA is one of the two predominant mobile gaming companies in Japan and is a pioneer in freemium gaming. The company’s 2010 deal to buy Ngmoco was a key part of breaking into foreign markets. On the back of the Ngmoco acquisition, DeNA launched a mobile gaming platform called Mobage, which now has about 77 games including the premiere trading card title Rage of Bahamut. The company made $129.2 million in profit on $594.3 million in revenue in the quarter ending in June. But, like archrival GREE, DeNA has had issues in understanding and adapting to Western markets. The Mobage network launched later than expected in Western markets and the company has spent handsomely to sign top-tier third party developers to the platform like Nimblebit. GREE similarly saw executive talent leave when it paid $104 million for gaming network OpenFeint and $210 million for U.S. mobile-social game developer Funzio.